So sorry it's been so long since the last post - here's my entry for the Tattered Lace Challenge (Sept: Holidays). Well it's another month gone and another card for the Tattered Lace challenge. This month we've got the theme of decadence, and I'll be honest: I had to google it! So for this one, I went for a deep colour since Decadence is about indulging in luxury! And obviously, I went for the most luxurious topper I could find: our Dresser (which is one of my favourites!) I coloured it with some Promarkers and added a sprinkling of Diamond glitter to the purple parts. I die-cut the topper using the Westminster die and layered it onto a wine piece of backing paper to highlight the detail - this was also distressed a little using Gathered Twigs. I've used some seam binding for a bow (and of course the new bowmaker... which is incredible!) and added a metal charm too - with a pearl in the centre. 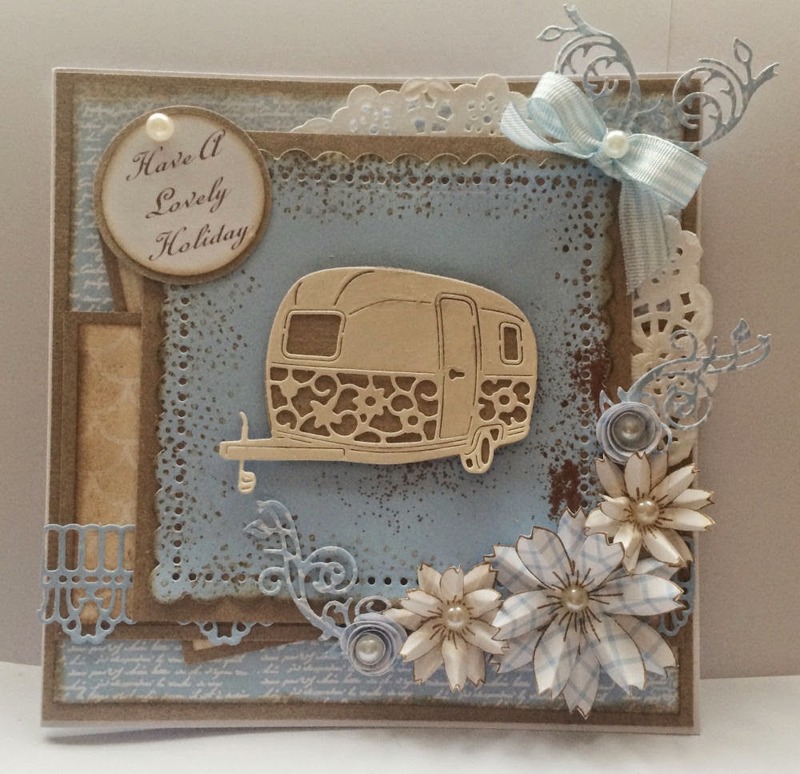 Backing papers are all from the Gorgeous Gifts CD rom which was recently added to our website, a doily and some Kraft card too! I used the Chelsea corner to add some detail onto one layer (mid-right of the card), a couple of strips of the Scallop Border down the central layer too. And a couple of diamond hat-pins! Finally, to embellish it all (apart from a few lines of pearls), I used the tatty flower from Large Essentials, stamped in Tuxedo Black Memento onto Kraft card and used the stamens to twirl 'puff-ball' flowers, the odd shop-bought blossom and then some ferns to fill in! Hope you enjoy this months challenge over on the Tattered Lace blog!